Nicaragua, obviously, is a serial offender when it comes to women’s rights. Or at least that’s the impression you get from reading the mainstream media. 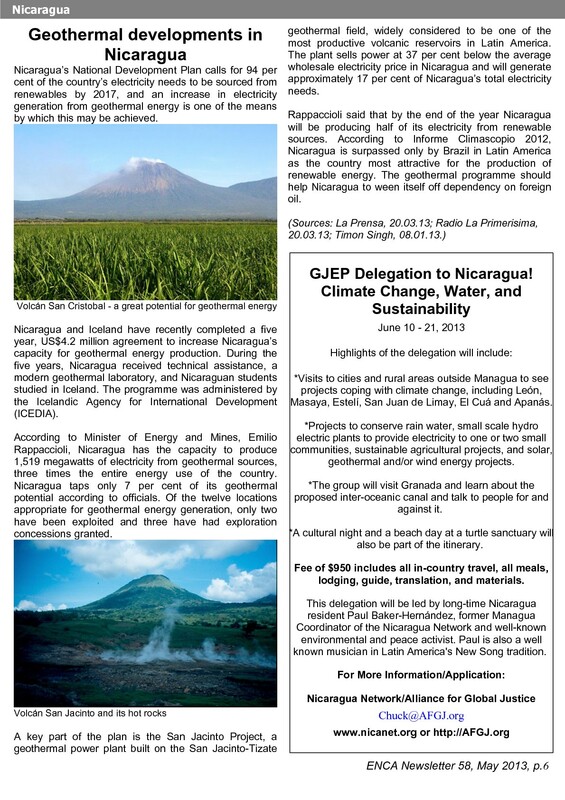 Nicaragua is not an exception. Patriarchy is the norm, as in most (if not all) countries. So it is easy to present what is happening there as further evidence of the growing oppression of women and a widening gap of gender inequality. One of the most important debates that happened over the summer was the amendment of Law 779, to protect Women against Violence. The Law has been widely welcomed, both in Nicaragua and abroad. The amendment has not. 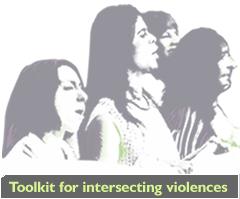 It allows for mediation between the woman and her aggressor, something opposed by both women’s organisations and leading female Sandinistas. It was, however, passed in late September. Nicanet, our sister organisation in the United States, reported the seeming discomfort of the head of the Supreme Court when it endorsed the announcement. Nicaragua’s patriarchal society has forced women to be economically reliant on their husbands or boyfriends, and leave them charged with the responsibility of keeping the family unit together. This pressure often leads to women agreeing to mediation, even when their life could be at risk. This could lead you to conclude that Nicaragua is a hell hole for women. But something else is going on in the country. 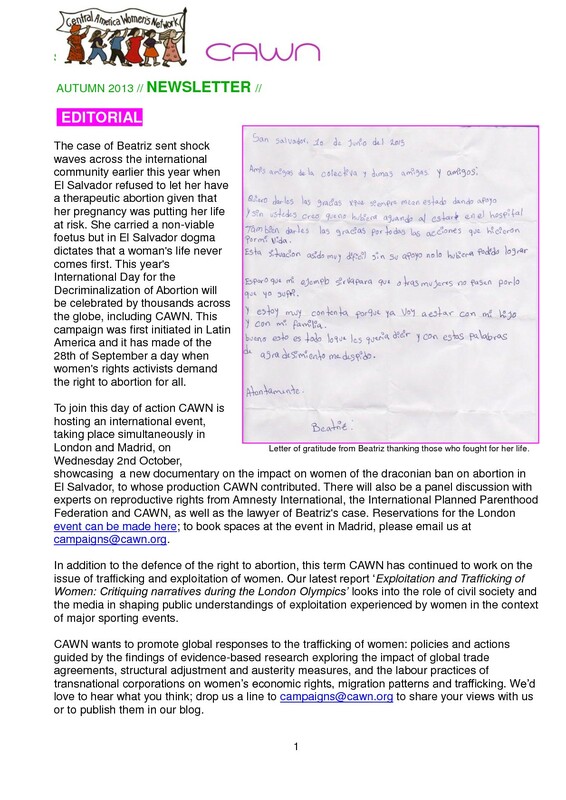 The CAWN report gives figures for femicide for Central American countries from 2001 to 2009 (nine years). Whilst the 80 odd yearly femicides in Nicaragua are reason for outrage, they are less than half their nearest neighbour in Honduras (and this gap has widened in recent years after the coup in Honduras, and the targetting of feminist groups). No wonder that women are fleeing Honduras, Guatemala and El Salvador for the relative safety of Nicaragua. Although the mediation clause is a retrograde step, passed to appease some of the churches in Nicaragua, the law itself is a major step forward. Again it needs to be seen in context. The alternative is summed up nicely by the Archdiocese of Managua’s Family, Life and Childhood Pastoral Commision. In September they said that a crisis was affecting the family in Nicaragua. Reported in Envio, the crisis began with the ‘aggressive’ promotion of birth control; the ‘plague of unilateral divorce; and Law 779 against violence against women, which is ‘marked by the ideology of gender’. Given Nicaragua’s bad press regarding women’s rights, it might come as a surprise to learn that yesterday Nicaragua was placed 10th in a list of global gender equality, for the second year running. Apart from the Philippines, it was the only developing country to make the ten best. The UK lagged behind in 18th place. The Guardian covered the story here. In a separate report, the Foundation for Sustainable Development said Nicaragua’s deeply ingrained gender inequality, which stems from its largely subsistence, agricultural economy where women carry water and other basic tasks, is counteracted by charities and NGOs that provide workshops to women that improve health, relationships, and education, as well as cultivating successful microenterprises. Anyone who has taken an interest in Nicaragua over recent years will know that this is nonsense. Whilst many NGOs have carried out good work in Nicaragua since the time of the Revolution, the country has only made in-roads into poverty and gender inequality since the Sandinistas regained power. Many of the governmental programmes are directly aimed at women. Elsewhere we have detailed the progress of Zero Hunger and Zero Usury, to name but two, which work soley with women. The measures which have led to Nicaragua being on-track to achieving the Millennium Development Goals have again relied on government intervention. Perhaps the Foundation for Sustainable Development have a different measure of what constitutes gender equality. With corporate partners like Bank of America, Barclays, Chevron, Coca Cola, Google, Merrill Lynch, Microsoft and Pfizer, who can doubt their commitment to human rights, gender equality and a just world. No wonder the Guardian thought they were the right organisation to assess Nicaragua’s progress. The worries about this last point were picked up in an article in Envio in August. The respected economist Adolfo Acevedo outlined some economic objections to the canal. One of these was the effects on exchange rates – the so-called ‘Dutch disease’ – which would make Nicaragua’s exports uncompetitive. The country’s exports currently stand at record levels, and Acevedo worries about the distortions the mega-project would cause to other sectors of the economy (see here for the short article). 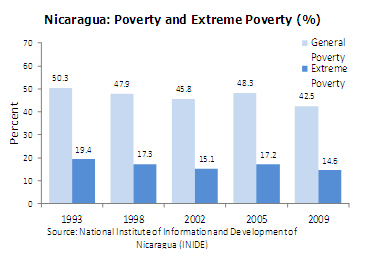 Nicaragua drew praise from the World Bank (a common occurrence these days) for the way that incomes of the poorest 40% have grown four times as fast as for the entire population. But anyone who is familiar with Nicaragua’s struggle to achieve the Millennium Goals – a distant prospect under a succession of neo-liberal governments – will be glad to hear the words of the United Nations Development Programme. Their Nicaraguan representative, Pablo Mandeville, said the country will hit the targets. Nicaragua was also now leading the process in Latin America, along with Brazil, about what the new targets should be after 2015. A few weeks later there was more good news, this time on the economic front. Another member of the ‘Washington Consensus’ gave Nicaragua full marks. The International Monetary Fund (who along with the World Bank and the US wreaked havoc across Latin America for two decades until they became increasingly irrelevant) were in Nicaragua, to announce jointly with the government that Nicaragua had ‘graduated’ from its IMF programme. Nicaragua has seemingly achieved a basket of advances that will have it’s economic critics choking on their tortillas – 5% growth, a reduction in the public debt, a reduction in the balance of trade deficit, an increase in foreign reserves, whilst at the same time reducing poverty. Bydd yr Ymgyrch yn cyfrannu at ddau ddigwyddiad yn y Gogledd dros y pythefnos nesaf. 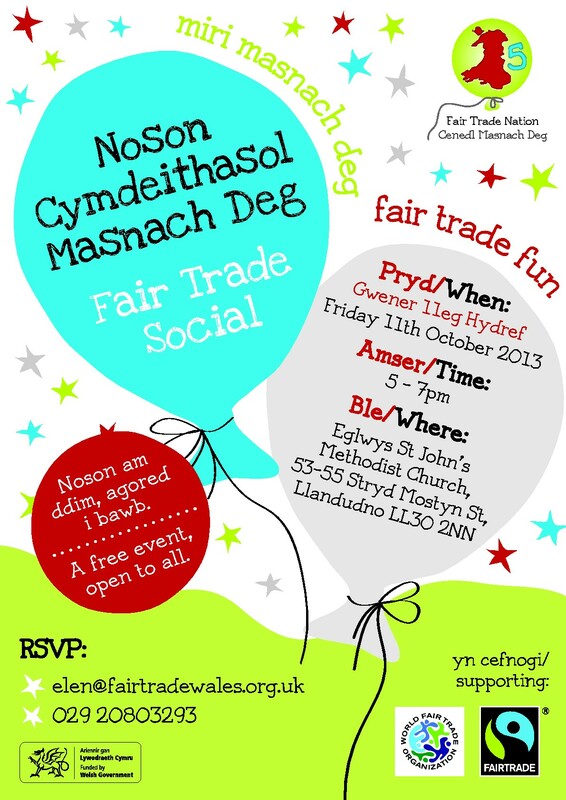 Ar Hydref 11 mae’r Ymgyrch yn darparu sesiwn blasu ein coffi, tecafé, yng nghyfarfod rhanbarthol Masnach Deg Cymru yn Llandudno. 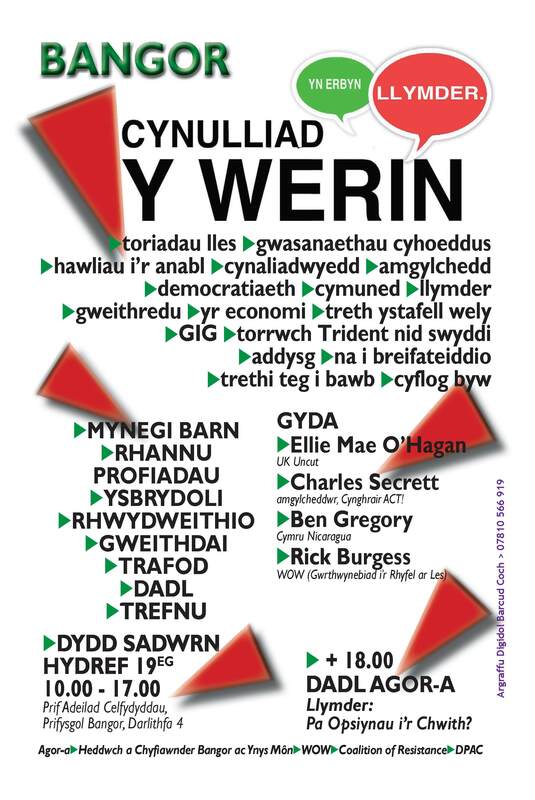 Yr wythnos wedyn, ar Hydref 19, mae’r Ymgyrch yn cynnal stondin a gweithdy, a darparu un o’r siaradwyr i agor Cynulliad y Werin ym Mangor. Mae’r manylion llawn isod. The Campaign is contributing to two events in the North over the next fortnight. 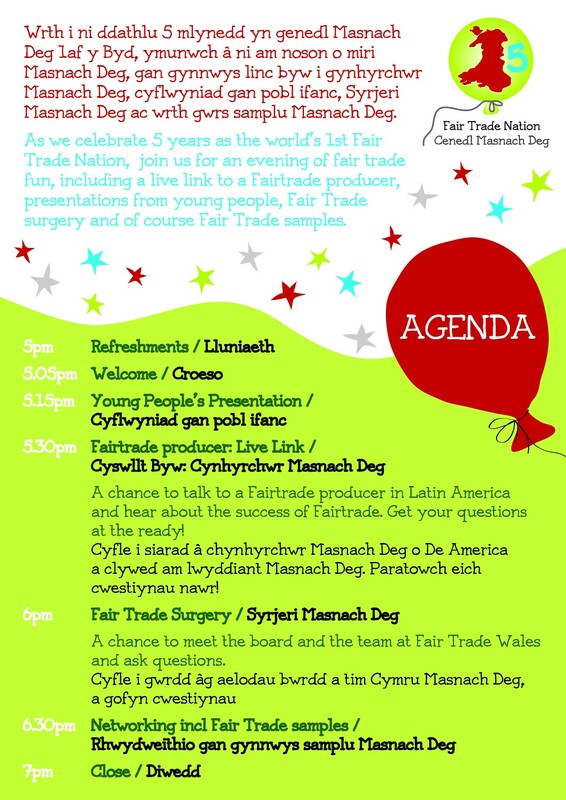 On October 11 the Campaign is providing a tasting session for our coffee, tecafé, in Fairtrade Wales’ regional gathering in Llandudno. 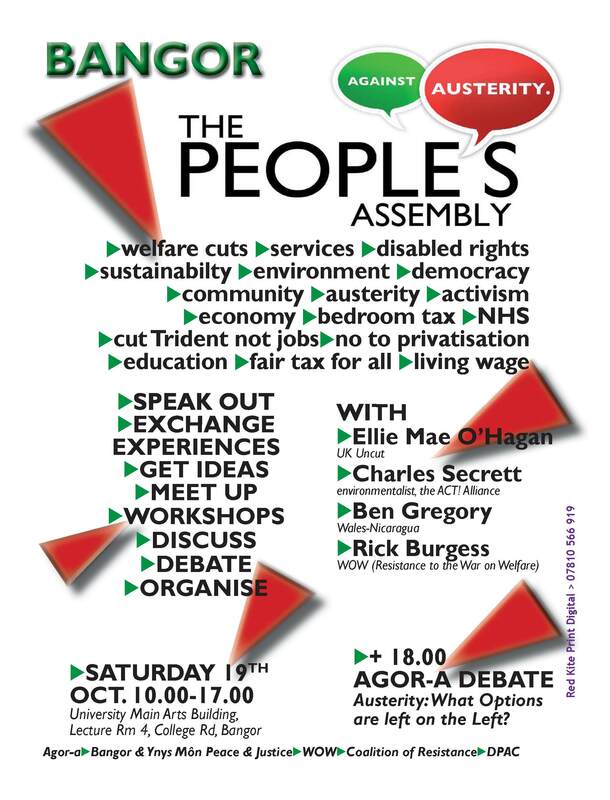 The following week, on October 19, the Campaign will be running a stall and workshop, and providing one of the introductory speakers for Bangor’s People’s Assembly.